We need more women in politics. #askhertostand might be the way. 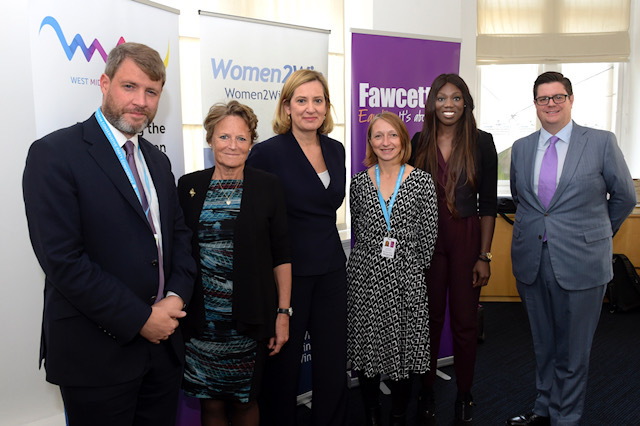 Whilst the papers might be full of Brexit and leadership wrangles, a packed fringe Conservative Conference event arranged by the Fawcett Society and West Midlands Women’s Voice (WMWV) for Women2Win recently showed that there’s still plenty of people with their eyes on a different prize – that of equality at every level of British life. It’s natural, perhaps, in Birmingham. The host city for this year’s Conference was at the heart of the Suffragette Movement, and its legacy is strong. WMWV is playing a key role in the West Midlands Combined Authority’s ambitions for inclusive growth, ensuring that the legacy of economic investment is felt across the whole community. Former Home Secretary Amber Rudd and Baroness Jenkin were on the panel that set out that, whilst the numbers of women in public life are rising, it’s slow. At the current rate it would take until at least 2068 to achieve parity. They called out for women to put themselves forward now, or to nominate a woman they know to stand as a councillor or MP. The hashtag #AskHerToStand is the handle for an all-party campaign to support this aim, with active social media presence and a website for nominations. Sharing their own experiences as women in politics, they acknowledged the challenges of office – from the juggling faced by all families to support caring and careers, to the emotional impact of criticism which can intensify the higher up the ministerial ladder you climb. They set out, however, the importance of women’s presence at the table in local and national government. Currently 32% of MPs are women – so politics is doing better than some other sectors but it’s a long way to go to 50/50. Their plea for people who feel they could take the leap, is to take the first step. Local government is a great place to start. The #askhertostand website has plenty of advice for women who care about their communities and want to change their world, but are unsure of how to make their way in politics. Spring is supporting West Midlands Women’s Voice by donating communications counsel.